Now, I want to see it! Tomorrow. I am so proud of myself. I chose it, bought it and organised it all on my own. It seems I have missed a story by not being around for a week or so–I will have to go back and see if this is fact or fiction! It is fact. The result of what happens when someone (who will not be mentioned, but not me) mistakes the accelerator for the brake. That is unfortunate, and I hope no one got in bad trouble or was harmed. It is probably why I do not drive–I have opinions that might not always match with objective machine reality. No injuries, except to the nerves and just a lot of money involved. I am glad of that, except of course on behalf of the nerves and money! I do tool. Congratulations on the new car. 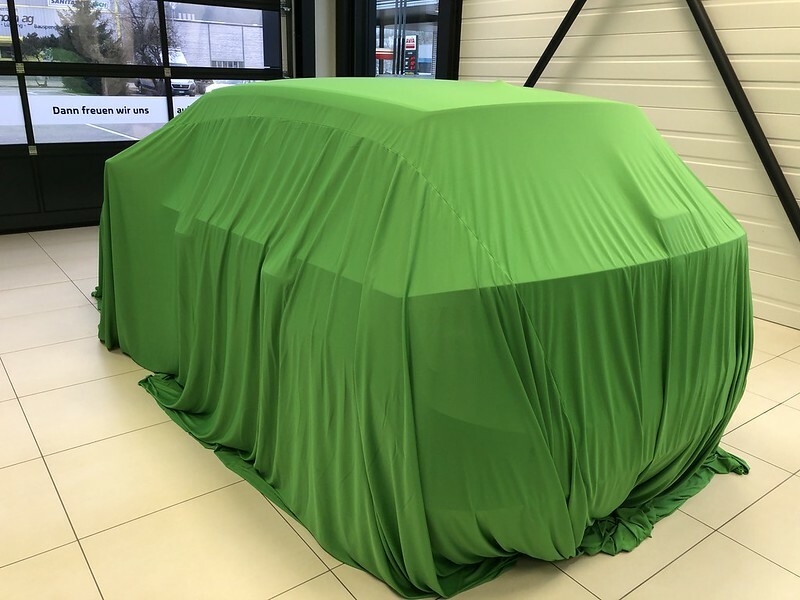 Like unwrapping a special present….Looking forward to the great reveal! I was quite impressed how the guy did it at the garage.